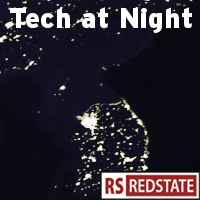 Tech at Night: Free Press, FCC, Google, LTE, RIM, Amazon, California What happens when Internet trolls go outside? That would mean the end of the Internet as we currently know it. Translation: Google is realizing that innovation is important, and if the FCC gets the power it’s trying to take, through Title II Reclassification, then disastrous consequences like price controls and censorship would soon follow. Plus, as I pointed out before, as Google’s YouTube uses ever more bandwidth on services like the planned “4k” super HD videos, the firm must work with ISPs to ensure the data gets from Google to the viewers in a smooth and orderly way. So this puts in a new light, the reports that Chairman Julius Genachowski has abruptly ended all of the Net Neutrality meetings, even those with Free Press, going as far as to pull his Chief of Staff Ed Lazarus out of a meeting in progress. Doesn’t it? If Google is telling the Obama Administration “Hey, we’ve got this,” and makes a big arrangement with one of the leading ISPs in America, with investment in wired and wireless broadband, then this could leave Free Press entirely in the cold. The pressure may be working, but we must keep it up. We must let people know just how much of a radical extreme group Free Press is, with its neo-Marxist aims of single payer “Media Reform.” We must shout that the FCC’s plans are meeting strong, bipartisan opposition in the Congress, are in defiance of the law and the courts, and would represent an unprecedented power grab online. And we must educate people about how new technology and competition, not regulation and restriction, are what we need for the best Internet access we can get. What’s more reliable: your power company, with heavy government regulation, or your wireless Internet company, with light Telecommunications Act protections?